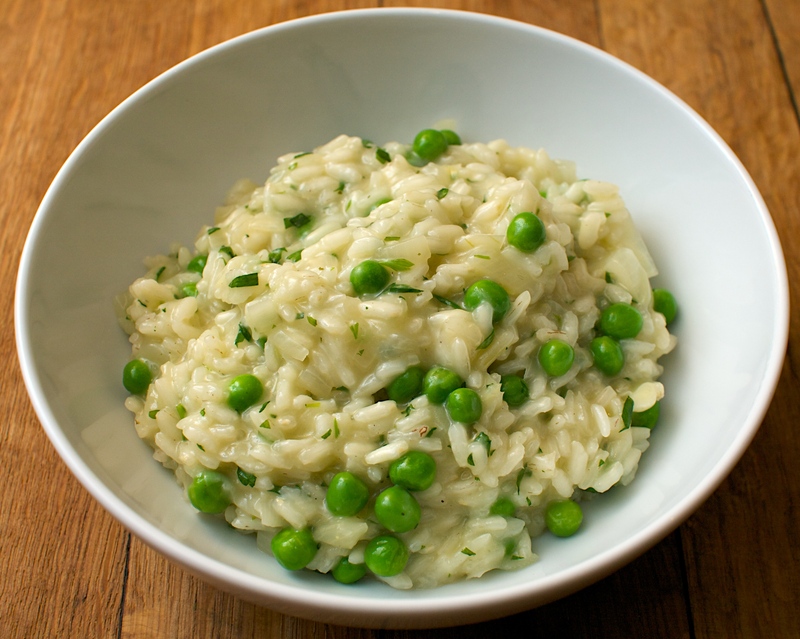 This is a great little risotto to help use up those half-used bags of fresh herbs. Tarragon, parsley and basil will all work well and you will probably have the rest of the ingredients in the cupboard already. Melt the butter in a saucepan, then add the onion and garlic. Cook for about 5 minutes or until softened, then stir in the rice. Pour in a ladleful of stock and simmer until the liquid has been absorbed, stirring now and then. Keep adding the stock like this until it is all used and the rice is soft. Stir in the peas and tarragon and heat through for a couple of minutes. Check seasoning, then stir in the Parmesan and serve with some more Parmesan if you like. Wine Suggestion: Sauvignon Blanc has characteristic herbal and green vegetal flavours which will complement the peas and herbs in this dish. We prefer the more subtle French versions, try one from the Loire Valley and don’t forget white Bordeaux. Great recipe. I always end up wasting my extra herbs. This is a wonderful recipe for left-overs!